Communism: What’s in a Word? This article opens by looking at how the meaning of communism as opposed to socialism evolved in the late nineteenth century and closes with a look at how this applies to the free software movement today. The terms socialism and communism appear in England around the 1820s as terms adopted by members of the co-operative movement who were sick of hearing their politics referred to as “Owenism”. Originally the two terms were undifferentiated but by the 1840s communism was used by revolutionaries to differentiate themselves from reformists such as J. S. Mill who had adopted socialism to cover an indigestible mess of reformisms. What is Communism? What’s in a Word? If that was correct then this would be a very short article. However, as so often, the Concise Oxford is wrong again. In fact the terms socialism and communism appear in England around the 1820s as terms adopted by members of the co-operative movement who were sick of hearing their politics referred to as “Owenism”. Originally the two terms were undifferentiated but by the 1840s communism was used by revolutionaries to differentiate themselves from reformists such as J. S. Mill who had adopted socialism to cover an indigestible mess of reformisms. “Forster Diary 11 May in T. W. Reid Life (1888) …. I learn that the great distinction between communism and socialism is that the latter believes in payment according to work done and the former does not”. It is this meaning of communism as opposed to socialism that evolved in the late nineteenth century that this article discusses. Of course it’s not that important to get hung up on a name, for many people the Concise definition of communism being something to do with Marx and the USSR is the one they know. For us the name of the post-capitalist society we aim to help construct is a detail, what matters is the content of the ideas. Nonetheless for the purposes of this article we need to choose a name so we stick with the historical one. As long as society has been divided into the privileged and the exploited there has been resistance and that resistance has found voice and expression in the language of the oppressed seeking to define the road to their freedom. Communism, however is the product of the rise of capitalist society and the new conditions of oppression and new possibilities for freedom it brought. The introduction of capitalism involved the struggle for power of a new class excluded from the governance of pre-capitalist agrarian based society and the voice they found to express and direct that struggle was political economy. Communism then begins as the other new class, the proletariat or working class, seeks to find its voice and finding itself in contest with the emerging capitalist class is forced to take on, confront and subvert the voice of their opponent. Thus communism as a discourse begins as a response to political economy. Political economy begins with the work of Adam Smith in the late 17th century. Smith’s “Wealth of Nations” was a project of leaving behind the religious discourse of the previous century’s Civil War where political tendencies couched their class aspirations and ambitions in the language of theology. To do so he followed the enlightenment push to create a secular, rational and “scientific” discourse which attempted to avoid the murderous and indeterminable controversies of religion by reference to “facts”. The aim was to determine the best course of government action or policy directed to the end of increasing overall wealth. In order to do this the challenge was to define a reliable measure of wealth or “value”. Given the history of inflation, currency alone was clearly not viable as a direct measure. In the end Smith settled for a theory of value based on the amount of labour embodied in goods produced. This was the basis of what was to be further developed by subsequent political economists such as James Mill and David Ricardo as the “labour theory of value” – that is the theory that the underlying value of that makes a given amount of grain exchangeable for a given amount of wrought iron or cloth is determined by the average amount of labour time necessary for the production of each product. The main question addressed by Smith’s political economy was how changes in the distribution of wealth affected the rate of growth of the overall wealth of the nation. The main argument was that those government policies which, through taxation, re-distributed wealth from the manufacturing and commerce sectors to the land-owners retarded growth as the latter group, being unwilling to re-invest the extra income into more wealth-generating industry, simply frittered it away in excess personal consumption. From the outset political economy was a subject with an agenda, namely that of defending the interests of the rising manufacturing classes against those of the dominant land-owning gentry and aristocracy who had a monopoly on governmental power. At the same time, through the arguments of political economists like Thomas Malthus, they argued against the effectiveness of the Poor Relief taxes the manufacturing bosses had to pay for the feeding of the poor and unemployed during periods of economic slump and high unemployment. This latter aspect came particularly to the fore in the great economic slump that followed the ending of the Napoleonic wars in 1815 [?] and the struggle around the proposed legalisation of unions in 1824. One of the first people to critically engage with political economy and attempt to turn it around to defend the improvement of the condition of the working class and rural poor was the scion of an Anglo-Irish landowning family from West Cork by the name of William Thompson. Born in 1775 in Cork, the young Thompson had been an enthusiastic supporter of the enlightenment, republicanism and the French Revolution. He later became a leading figure in the Co-operative movement in radical opposition to Robert Owen. In the 1820s, outraged by the use of political economy by a local “eminent speaker” to argue the supposed necessity and benefit of the absolute poverty of the “lower orders” Thompson set about an investigation into political economy which resulted in his “An Inquiry into the Principles of the Distribution of Wealth Most Conducive to Human Happiness” of 1824. As the lengthy title indicates his attention was, like the political economists, also focused on the effects of the distribution of wealth, however his yardstick for the outcome was the utilitarian “greatest good for the greatest number” rather than the overall abstraction of the “wealth of the nation”. He addressed Bentham’s three principles governing distribution – the right to security, the right to the produce of labour and the right to subsistence. The right to subsistence was the principle of distribution by need which, in Bentham’s reasoning, had to be subordinate to the right to the produce of labour which recognised the priority of the producers claim to the product of his or her own labour. Bentham over-ranked both with the right to security i.e. that the individual’s right to his or her existing property had to be defended from arbitrary abstraction by society or all medium to long term incentives to economic activity would be nullified by the possibility of having any gains taken away in the future. Thompson’s first point of attack was to recognise that under the guise of the right to security Bentham and the utilitarians were in fact defending the existing property status quo without any interest into the legitimacy of how this division of ownership had come about. In Thompson’s native West Cork it was easy to recognise that the monopoly of land by the Anglo-Irish protestant ascendancy had been brought about not through thrift, hard work and parsimonious virtue but by military main force. Further Thompson exposed that exchanges between the dispossessed and property-monopolising classes could not be seen as free or equal in any way as the propertyless had to accept unfair wages for the sale of their labour under duress of starvation as the alternative. Thompson went on to analyse the process of exploitation of the wage labourer by their employers and how the lion’s share of the product was appropriated by the latter as surplus value in an account later adopted by Marx. From here Thompson moved to posit a system of “free exchange” where equal access to land and the means of production was guaranteed to all, but distribution was governed by the right to the produce of labour taking precedence over the right to subsistence. As the anarchist historian Max Nettlau noted “[Thompson’s] book, however, discloses his own evolution; having started with a demand for the full product of labour as well as the regulation of distribution, he ended up with his own conversion to communism, that is to unlimited distribution”. That is, having proposed a system based on the right to the full product of labour he re-examined it compared to a system of equal distribution by the same utilitarian yardstick that he had used to dismiss the status quo and found, to his initial surprise that the system of “free exchange” was inferior to that of unlimited equal distribution. In examining the hypothetical system of “free exchange” he discovered its competitive nature – the term “competitive” in fact was first applied to describe capitalist exchange by him. The evils Thompson ascribed to the competitive system were not simply ethical or moral – that the system made each look upon his or her peers as rivals and means to an end – but also in terms of efficiency – that competition would encourage people to hide their innovations and discoveries and that market intelligence would also be kept secret thus causing waste and inefficiency. In the year Thompson’s “Distribution of Wealth” was published he spent much time in London engaging in a series of public debates defending the rights of trade unions against the bourgeois political economists such as J. S. Mill and also on the way forward for the workers with Thomas Hodgskin at the newly formed London Mechanics Institute. Thomas Hodgskin was the son of a storekeeper at the naval dockyards at Chatham Kent and had served in the British navy during the Napoleonic wars. Expelled from the navy at the end of the war due to conflict with upper ranks, he became a radical journalist and a fierce critic of authority and the upper classes. He shared with Thompson the view that the upper classes monopoly on land and the means of production allowed them to exploit those compelled by necessity to sell their labour to them. Where he differed with Thompson was that he considered the right to the full product of labour freed from capitalist exploitation to be the ultimate goal of radical reform. In Hodgskin’s vision, groups of workers organised as unions, could take possession of the means of production and exchange their products amongst each other on a “market” basis. The ensuing debate between Hodgskin and Thompson resulted in the publication of “Labour Defended” and “Labour Rewarded” respectively and in many ways outlined the division between the advocates of socialism and communism that has continued to run through the radical anti-capitalist movement to this day. In the end it was Hodgskin’s analysis that won out over Thompson’s. Thompson suffered the marginalising effects of his West Cork base, his early death and his association with the strategy of setting up experimental communities. In addition his theoretical writings were too lengthy, challenging and, above all, too expensive for the ordinary worker to afford. In contrast Hodgskin was concise and skilled in making his arguments in a language the ordinary worker could both readily understand and re-use amongst his or her peers. Above all Hodgskin was “good enough” for the purposes of the nascent trades union movement. Radical enough to turn the tables on the political economy of the bosses but avoiding the truly radical total inversion of the existing order that Thompson’s proto-communism called for. With Hodgskin the trade union agitators could conjure up the vision of a future society free of the worker’s exploitation by the bosses but still retaining the familiarity of money and exchange. The “natural wage” undiminished by the exploitative abstractions by the capitalists and landlords. Just as the crushing defeat and savage repression of republican revolution in Ireland and Britain pushed Thompson and Hodgskin, the co-operators and trade unionists to steer their frame of action away from the society-wide or revolutionary scope, so the fact of the revolution in France cast all progressive thought into this framework. However it was also exclusively a statist and authoritarian framework until Proudhon broke the mould by proposing a society-wide and revolutionary solution that did away with the state. Despite his originality in breaking with the statist stranglehold on French radical thought, Proudhon still retained many reactionary elements in his outlook. It was his neanderthal stance on the emancipation of women that provoked a young sympathiser of the new anarchist ideal, Joseph Dejacque, to first openly break with and attack Proudhon’s failings. But in addition to taking him to task for his opposition to female emancipation, Dejacque also denounced Proudhon’s economic critique of capitalism as inadequate and incomplete. Proudhon’s position was in fact similar to Hodgskin in aiming for the elimination of the monopolies on land and means of production by the capitalist and landlord classes, but the retention of the wage, money and exchange as the means of organising the transmission of goods between producers. In other words, capitalism without capitalists. In Dejacque’s view this is too conservative. Taking Proudhon’s slogan of “property is theft” to its, as he saw it, logical conclusions Dejacque denounced as property claims any claim by producers on that part of what they had produced that was not for their own consumption or use. In this context he distinguishes between possessions – those goods you have reasonable exclusive claim over for your own use – and property claims – where you seek to deny others the use of goods that you have no use for yourself. Dejacque uses the example of a shoemaker who can make shoes of his or her own size and to their personal taste and claim them as their own possessions to use. The same shoemaker can also make for different sizes of feet and different tastes or fashions. These latter shoes are not possessions as the shoemaker is not intending to use them personally. Instead in claiming them as property he or she is denying their use to others, in effect holding them hostage until they can be exchanged for other goods the maker judges to be of enough value to satisfy them. Dejacque’s critique of exchange is couched very much in the language of justice and injustice coming out of the enlightenment discourse of the French Revolution. It lacks the fullness of Thompson’s more laboured and wide-ranging critique of capitalist political economy, yet it integrates the aim of communism into the whole of a revolutionary and explicitly anti-state and anarchist goal. As such Dejacque is the first libertarian or anarchist communist. Though Dejacque identified himself as an anarchist and, through the title of his periodical, introduced the term libertarian as a synonym for the same, he did not attach the label communism to his economic ideas. This label was at the time being used by proponents of the authoritarian and statist conspiracies Proudhon had struck out against. Specifically the Communist League which includes at that time the German radicals Friedrich Engels and Karl Marx. The latter producing the “Communist Manifesto” for the league. In his studies in the 1840s, Marx had come across the work of both Thompson and Hodgskin and from their common ground critique of capitalist exploitation he takes the broad outline of his critique of the same in “Capital” and other works. However on the issue of the main contention dividing the two, Marx ended up choosing neither one nor the other. Concentrating most of his effort on elaborating the critique of capitalist political economy already outline by Thompson and Hodgskin in the 1820s, Marx wrote remarkably little on the principles governing post-capitalist society. What little he wrote in the “Critique of the Gotha Programme” seems an attempt to reconcile the two opposing principles. On the one hand Marx argues that as society emerges from capitalism with the expropriation of the land and means of production from the landowning and capitalist classes, it must retain the forms of money, the wage and exchange. This, Marx’s “lower phase of communism” (which n.b. is not communist in the way this term is used in this article) corresponds to Hodgskin’s vision of capitalism without capitalists. Yet on the other hand, Marx sees this first stage not as an end in itself but only as a transitional stage towards the “higher phase of communism” corresponding to Thompson’s vision of a society from which wage, money and exchange have been abolished. Marx’s attempt at a synthesis of the two positions is undeveloped and fails to answer basic questions. Namely why the first stage is not a sufficient goal in itself, how exactly does the first stage create the (unspecified) conditions for the second stage and how and when does the transition from one to the other actually take place? These failings in Marx’s work are in many ways the flipside about strengths and originality of the other aspects of his contribution. Whereas Thompson, Hodgskin and Dejacque approached the problem of social liberation from the ahistorical starting points of utilitarianism, radical and enlightenment revolutionary analysis respectively, Marx brings the perspective of historical development from his Hegelian background. Whereas the previous three were all acutely aware of the clashing interests of the labouring and owning classes and the extent to which the bosses ideologies suited their class interests, it is Marx that puts forward the theory of the class struggle as the motor of history. What is original in Marx’s “Capital” is not the theory of exploitation and surplus value which he inherits from Thompson, but the role of class struggle in limiting the working day and shaping the introduction of productivity-enhancing technology as a response to working class resistance to exploitation. This focus on the historical and contestational dynamics of the process is what gives Marx’s work continuing relevance to theorists today, yet it is accompanied by a lack of attention to specifics of the goal of a post-capitalist society. Despite his many contributions, Marx’s work on its own represents a backwards step in comparison to Thompson’s work when it comes to investigating the social relations of a post-capitalist society. By the late nineteenth century, the legal proponents of capitalist political economy realised they faced huge challenges which necessitated a major change of direction. Continuing the line of development of classical political economy was no longer a viable option for them. Some of the reasons were technical – classical political economy saw only the production of physical goods as wealth-producing and had no account of the economics of the service industry. Other reasons were more historical – in international terms the classical political economists had been fierce critics of colonialism and the war in America as policies that taxed the wealth-producing manufacturing industry but benefited only the then dominant landowning and aristocratic class. Historically classical political economy had been the agitational propaganda of a capitalist class excluded from power. Now, in the late nineteenth century that same class had now been brought into the governing class through political reform, and many of them now had an interest and share in the profits of the “New Imperialism” of the late Victorian era. Most importantly the capitalist class had never considered that the discourse of political economy could be taken from them and used to enable the real wealth-producing class – the working class – to articulate its own interests and critique of power. To address all these issues a new generation of apologists of power stepped forward to take the political out of economics and re-make this “social science” as a technical tool for market analysis for capitalists. So anxious was William Jevons, one of the first of these post-classical economists, to undo the damage of the labour theory of value, that he claimed that the price of goods and services were set by demand alone, with no link to the amount of labour involved in their production. Naturally this extreme position was completely unsustainable in practice so Jevon’s theories were eclipsed by those of Alfred Marshall who grudgingly admitted labour cost as one of cost factors involved in determining price. Lest anybody think this position made him any less of an enemy of socialism than Jevons, Marshall was quick to make his political perspective clear from the outset, stating his opposition to the “socialist programme” on the grounds that “the collective ownership of the means of production would deaden the energies of mankind and arrest economic progress”. It was Marshall who eventually produced the theory of marginal utility and the supply and demand price curve diagram that today graces the front of all conventional economics text books. The neo-classical economists ditching of the labour theory of value was only achieved by abandoning the central aim of political economy – that of finding a measure of value with which to gauge the rate of growth of the national economy and the impact of government policy on this growth. Consequently by abandoning the measure of value to focus on the determination of price alone, the neo-classicists threw out the baby with the bathwater. Their resulting framework was indeed useful as a technical tool for capitalists for calculating prices and investment opportunities, but for overall policy their “marginalist revolution” was itself of marginal utility. The need for a theory that addressed “the big picture” led to the evolution of “macro-economics” which in turn relegated the neo-classicists efforts to micro-economics. The problem for macro-economists remained the same as for the original political economists, how to get a stable measure of wealth undistorted by monetary inflation. In the end the measure they have chosen is the Retail Price Index (in the UK – similar indexes exist by different names in different countries). This is an index based on a basket of goods to reflect the consumption of an “average” worker with additions to reflect utility and housing costs, etc. In other words a measure of the cost of labour. The RPI is thus the re-introduction of the labour theory of value as a base measurement of the value of money. In this and other areas such as development economics, honest commentators have had to admit the practical need to re-introduce a measure of the value of labour as a base unit of analysis. It is worth taking a parenthesis to examine why the valuing of products by the labour time necessary for their production has lasting appeal to the extent that our everyday existence in capitalist society continually reinforces it as a seemingly “natural” measure. Partly this is because there is a biological basis – any living organism must ensure that the calories it gains from its activity must at least balance the calories it burns up in staying alive and active for that same time period or else it will perish. For a large part of human history, until relatively recently for most of us, human economic activity has not moved that far away from that biological basis. While most economic activity was in the agricultural production of basic food subsistence and most of that work measured in physical effort over time, care had to be taken that the exchange of goods produced in the marginal time surplus to the production of basic subsistence had to be exchanged for a similar amount of time value otherwise the eventual outcome would be lack of food. Although today we live in a world revolutionised productivity-wise by capitalism where less than 5% of societies labour goes into basic food production and we have been in a global food surplus for half a century, it is no surprise that we have not yet adjusted to a post calorifically-limited world. Yet the basis of estimating the “going rate” of time necessary for production of a given good or service is that the process of production is such that most people are capable of a similar rate of production. As we will see below, that assumption becomes less and less tenable as the division of labour increases and production moves more and more away from basic physical effort and more towards intellectual problem solving or creative work. Although Dejacque had died penniless and isolated in the 1860s, despairing of any real progress towards libertarian communism being achieved for centuries, yet by the 1870s the ideas of libertarian communism were taking root amongst some of the followers of Bakunin in the First International. Through the French anarchist brothers Elie and Élisée Reclus, the Swiss militants of the Jura Federation like James Guillaume and the Italian section of the International, including Errico Malatesta, Andrea Costa and Carlo Cafiero – a one-time secretary to Marx sent by the latter to Italy to convert the Italian International to Marxism, he ended instead being converted to anarchism. During the period of the struggle in the International between Marx and Bakunin these militants preferred not to challenge Bakunin over the issue of collectivism. Bakunin’s collectivism defended the right to the full product of labour like Hodgskin, along with the consequent distribution of products by hours worked – i.e. the wage – and exchange. In the wake of the definitive split in the International and Bakunin’s subsequent death, these restraints were lifted. The term “anarchist communism” first appeared in print in publications of the Swiss anarchists in 1876 and in the summer of that year the Florence Congress of the Italian International resolved to abandon collectivism and adopt communism as their aim, stating: “We believe that the necessary complement to the common ownership of the means of production is the common ownership of the products of labour”. Through the work of the Italian, Swiss, French and individual militants like the Russian, Kropotkin, libertarian communism became not simply an idea but the aim and goal of European-wide revolutionary movement. Yet that movement’s clarity of vision in relation to its goal suffered a weakness of analysis of the progress of the class struggle and the dynamic that could lead from capitalism to its overthrow. Consequently the actions of the libertarian communist minority’s militants tended towards voluntarist attempts at insurrection such as the failed Benevento uprising by the Italians or clandestine armed action or assassination attempts against representatives of the bosses or ruling aristocracy. The failure of this “propaganda by the deed” era of the movement led towards the turn to syndicalism as a way of re-engaging with the practical class struggles of the mass of workers. However, despite its many positive effects, this form of re-engagement with the living process and dynamic of the class struggle brought with it problems. Syndicalism as a theory proposed a seductive confusion of means and ends at once distinct from and yet in other ways analogous to that offered by Marxist and statist currents of socialism. On the one hand syndicalism opposed the use of state power to introduce post-capitalist society. Syndicalism proposed the direct exercises of power by the democratically federated trades unions themselves. As the productive organisations of the working class, this held out the prospect of the direct management of society by the producers themselves without the intermediary of the state. But on the other hand, just as the Marxist reduction of the question of social emancipation to the task of the Marxist party seizing state power, so syndicalism too reduced the question of social transformation to the question of power, albeit power to the organisations of the workers rather than the state under “revolutionary” dictatorship. Just as the Marxist tendencies concentration on the question of power had led them to neglect the question of the shape of the future relations of post-revolutionary society, so the syndicalist focus on power, albeit in a different form, similarly led to a tendency of at best agnosticism and at worst indifference to the question of whether post-capitalist society should be socialist or communist. Inevitably there was a tendency within syndicalism to consider the question an irrelevancy and drift, by default, towards the old Hodgskinian utopia of capitalism without capitalists. The tendency was aggravated in Spain which, isolated from the rest of Western European anarchism, had not followed the break with Bakuninist collectivism and adopted the compromise position of the choice between collectivism/socialism and communism to be left for individual communities to decide for themselves in the post-revolutionary period. In fact the effects, if not necessarily the cause, of this political agnosticising tendency within syndicalism came to be recognised as a threat by the Spanish anarchist movement to the extent that they found it necessary to form a specifically anarchist political organisation – the FAI – to combat reformist tendencies within the CNT. But in the end it was the rise of fascism in Italy and Germany followed by the defeat in Spain which ended the “classical” phase of libertarian communism as a movement in the 1930s, caught in a pincer movement between fascism and Stalinism. It is time to pause the narrative of the historical emergences, eclipses and re-emergences of libertarian communism to examine, in the abstract, what it is. A libertarian communist society is not a pre- but a post-capitalist society. That is it is a society that is economically dominated by social or co-operative production – i.e. there is an advanced division of labour with only a small minority of labour being engaged in basic food production and most labour is engaged in producing goods or services that are mostly consumed by others. As a corollary there is a high level of communication and general scientific and technological development. What distinguished libertarian communism from capitalism is that the delivery or transmission of goods and services to their consumers is done on the basis to the satisfaction of their needs and desires not linked or restricted in any way to their contribution to the production process. That is there is no money or wages and products are not exchanged either for money or for other products judged to be of equal value – whether that value be measured in labour time necessary for its production or some other hitherto undreamt of measure. Stated baldly like that to those used to the workings and logics of capitalist society – and that is all of us these days – it seems at first sight an absurdity or at the very least an unworkable pipe-dream. To explain the existence of libertarian communists then, it is necessary to add the following proviso: Libertarian communists believe that private property (in the means of production), class society, money and the wage relation are all inter-related aspects of capitalist society and the attempt to change society to abolish some of those aspects while retaining others – e.g. abolishing class society and private property while retaining money and the wage as socialism proposes – will only result in an unstable and violently contradictory mess that can only end in collapsing back into the relative stability of the capitalist dynamic unless it is taken forward to full communism. In other words libertarian communists believe that attempts to make a post-capitalist society by halves, such as socialism proposes, are doomed to end up being transitional stages not to communism but to capitalism – as in fact the historical experience of the 20th century has borne out, at least as far as the project of Marxian state socialism is concerned. The libertarian communist critique of Leninism and all its unpalatable 57 different varieties is not that it is not libertarian, but that it is not communist. On that point we must emphasise that by using the term libertarian or anarchist communism we are signalling our opposition to the abuse of the word communism by the state socialists, not that we have chosen an alternative to authoritarian or state socialism because these latter phrases are contradictions in terms. The state relies on the wage relation to exercise any authority, indeed to even exist. Without paid enforcers the state cannot exercise power as the Serbian president Slobodan Milosevic discovered when he stopped paying the wages of the Serbian riot police who were supposed to be repressing the demonstrations of other unpaid public sector workers on the streets of Belgrade. 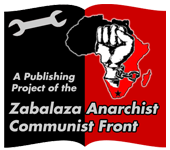 In this sense communism is always libertarian or anarchist as the abolition of the wage brings about the abolition of the relation of command which structures the organs of state power such as the police, army and bureaucracy. Though the failings of state socialism have been amply exposed by recent history, we do need to re-examine the case of proposed libertarian socialism – a society where land and the means of production have been taken into common ownership but the products of labour are owned by their producers and exchanged for the products of others on the basis of equal value measured by labour time embodied in them. It is the contention of libertarian communists that such a system would make all producers into competitors with each other. The system of exchange valued by labour time introduces the “productivity paradox” – the longer you take to produce a given output the more of another’s output you can exchange it for. Conversely the more efficient you are in producing your output, the less you get in exchange for it. The productivity paradox is that labour value incentivizes inefficiency and disincentivizes efficiency. This is why capitalism necessitates that the promotion of efficiency is specialised off as a management function over and against the interests of the productive workforce. The roots of class conflict in production are to be found in the productivity paradox arising directly out of exchange by labour time value itself. The system of competition of individual interests also produces the negative effects of people seeing each other as potential rivals rather than as allies and promoting their narrow sectional interests rather than the general good. Thus we have doctors who are paid to treat disease and unsurprisingly they have little interest in disease prevention. But by far the greatest evil resulting from the system of individual competition – bellum omni contra omnes, the war of all against all – is the outcome that our most important social product, the society we live in, becomes an alien impersonal “other” that none of us control yet we are all controlled by. By competing all against all to maximise our little individual share of the social product to own, we lose the ownership of the society we live in. Libertarian communists believe that trading in the measly shares of the social product we own under capitalist relations and in return gaining the ownership and control over the direction of the whole society we make will result in a net gain for all both materially and in terms of freedom. Fine words indeed, but it logically follows that if the trading in of individual ownership rights over the product of one’s own labour in return for the common ownership of a post-capitalist society were to result in a net loss for all or most of humanity then libertarian communists would be shown to be mistaken and those who preach the capitalist gospel that the end of history has come and that the capitalist world is truly the best of all possible worlds would be proved right. Up until recently this was seen by all sides as a question that could not be settled this side of a revolution – without making the experiment. However in the last few year’s new developments taking place even within current capitalist society have thrown this pre-conception into doubt. Before we re-engage with a historical narrative to examine these recent developments we need to examine some other aspects of the productive process, both as it has developed under capitalism and how it can be expected to further develop under post-capitalist relations. The first tendency is the increasing de-territorialisation of production. By that we mean the increase of the number of fields of production that are not tied to a specific place. Food production via agriculture is territorial or tied to a specific place. The bit of land from which you harvest must also be the same bit of land you previously prepared and sowed. Consequently for those people and those periods of history where agricultural subsistence was the dominant mode of production, settled living in or by the territory of production was the norm for the greatest number. Those settled agricultural communities unified the spheres of production, consumption, reproduction and nearly all social interaction within a single space. This largely self-sufficient and potentially self-governing community is a social form that has existed for centuries throughout nearly all human cultures around the globe up until the last century or two of capitalist upheaval. As such it still had a powerful hold over the political imaginations of anarchists no less than the rest of the different progressive tendencies of the late nineteenth and early twentieth centuries. The Russian “Mir” influenced Kropotkin’s vision of libertarian communism just as the Spanish, particularly Andalusian “pueblo” influenced the vision of the CNT’s Isaac Puente. But as the productivity levels and related division of labour increase a larger and larger percentage of the working population are pushed out of agriculture, out of the rural setting and into urban spaces. In the beginning some of these non-agricultural settlements were themselves based around territorially-specific sites of production – whether mines, fishing harbours or river crossing points. This last case points us towards an important feature – non-agricultural settlements necessarily imply the existence of flows of goods and people, if only in bringing to the urban spaces the food they cannot produce. In fact even prior to the development of urban spaces, agricultural settlements required interaction with marginal but indispensable itinerant populations to bring them goods impossible to produce locally and be the medium of communication of news and culture from afar. Despite the often deep divides of incomprehension and mutual suspicion between settled and itinerant communities and the tendency of the numerically superior former to discount or “forget” the latter from inclusion in the notion of “productive society”, the two bodies are both mutually interdependent elements of the social whole despite the de-territorialised nature of the itinerant minority’s contribution. As industrialisation proceeded, the creation of large centralised mass workspaces with large immovable plant continued the appearance of territorially-specific production. At this stage the workforces of large mills or factories lived in their shadow and the workforce walked to work. Industrial disputes were neighbourhood affairs. However as the continuing specialisation, sub-division and proliferation of the different strands of social production has progressed it has become more and more evident that an increasing amount of production is not territorially specific. That is, many workplaces can be moved more or less arbitrarily from one place to another [globalisation & class struggle?]. This de-territorialisation of production is particularly pronounced for those engaged in non-material production – i.e. the production of information and communicative work, an increasingly significant sector of social production. Communication is a necessary part of any social production process and as long as face-to-face communication was unrivalled, in terms of cost and effectiveness, the workplace had the irreplaceable role of the physical assembly point for that communication. Recently, with advances in telecommunications we have seen the emergence of the ultimately de-territorialised social production process – one that no longer has any “work-place” at all where the participants need to assemble. One social sphere remains territorially specific for the majority settled population however – the domestic sphere, i.e. where we live. What has changed is that this domestic and reproductive sphere no longer maps directly onto a productive sphere. In a given urban neighbourhood the residents will typically be engaged in many diverse productive roles, attending many different workplaces or no static workplace at all. Similarly in the static workplaces the workers will be from many different neighbourhoods. Unlike the rural commune there is no longer a single unifying point of assembly where all matters affecting production, consumption and reproduction can be made directly by those directly affected by them. For people to take part in making the decisions that they are affected by they must enter into a number of different communicative assemblies, each with different sets of associates. This element of de-centring finally bids goodbye to the ideal of the “commune” as the basic social form with which to reconstruct society. The old federalist vision of an ordered tree-like structure of decision-making from the local to the global – albeit governed democratically from the bottom up, rather than autocratically from the top down – must now be replaced with a multiplicity of interconnected but distinct networks with no dominant centre. The commune is dead, long live the commune! We should now move away from the abstract back to the real-world historical developments that we mentioned earlier that have overturned assumptions about the possibility of making any practical tests of the effectiveness of production free of capitalist constraints this side of a revolution. In fact such a practical experience has already been underway for some years, not at the instigation of any pre-meditated anti-capitalist or revolutionary movement, but as a reaction to the actions of capitalist businesses in the field of software development. The rise of the free software and open source movements is a story in itself and one that is still very much in the process of being written. Indeed a number of books have already been turned out by media and academic commentators struggling to explain the phenomena and particularly to get to grips with the aspects of it that have most perplexed and disturbed the received truths of capitalist economics. In short the free software movement is the product of thousands of software writers or hackers working collaboratively without pay to create whole systems of software that are owned not by the producers but the common property of all. In the space of little more than 10 years an entirely voluntary and unwaged network of producer consumers have collectively produced an operating system – GNU/Linux – that is not only comparable to, but in many aspects, superior to the flagship commercial product of global capitalism’s most successful hi-tech company – Microsoft. Given the short space of time the free software movement has taken for this achievement compared to the decades Microsoft has invested in its product and the fact that the unwaged hackers have done this work in their spare time, the case for the relative efficiency of unwaged, property-claim free production has already made a strong opening argument. As you might expect the explanation for these novel results are related to specific characteristics of the object of production, i.e. computer software. To see what is different let’s take a counter-example say a motor car. Conceptually we can divide the production of a car into two different production processes. The first is the production of a design for the car, the second is the production of a car from that design. In the world of mass production such as that of car production, the physical product – the actual car – dominates the design for that model of car. That is the cost of manufacturing the physical parts for each individual car is far more significant than the cost of the whole of the designers wages. To the extent that it makes economic sense for a car company to hire an engineer to work for two years on shaving 5 pence off the production cost of a plastic moulding for a car sidelight (genuine example). In complete contrast, with computer software the cost of creating an individual copy of a software product and distributing it to the user is so negligible in relation to the effort to produce the original design that we can say that the design or prototype is the product. This is important because it means the labour cost of producing software is basically unchanged whether the end product is distributed to 10, 1000 or 1,000,000 users. This has an important implication – it is impossible to exchange software for product of equal labour value. Consider a single hacker spends 30 days producing a given software utility, he then distributes it to 30 end users for the equivalent of an average days wage apiece. This has the appearance of exchange but consider what happens when the hacker then distributes the same software to another 30 users for the same terms, and then another 300, then to a further 300,000? There is a further difference between the car and the piece of software. If a fault is found on a car and it is fixed all the other existing cars of that model would need to be fixed individually. With a piece of software however, any user who detects and or fixes a fault in their copy of that software can then share that fix or improvement with the entire community of users and developers of that software at virtually no cost. It is this multiplier effect that helps make the collaborative process of free software so productive. Every additional user is a potential adder of value (in the sense of utility) to the product and the communicative feedback between developers and users is an important part of the productive process. There is a second barrier to incorporating software production into a scheme of labour valuation. That is the uncommodifiability of original or creative labour. By commodifiability we mean the ability to reduce a given buyable item to a level of interchangeability where a given volume is equal to any other given volume of the same thing. Potatoes are commodifiable, roughly speaking one five kilo bag of spuds can be swapped for another without any appreciable change in the outcome. The logic of much capitalist production is to reduce labour to commodifiability where the output of a given number of workers is comparable to that of the same number of another group of workers. However this process breaks down when the output relies centrally on individual original creativity. It is recognised that the productivity of the most gifted hackers is enough orders of magnitude beyond that of mediocre or averagely competent hackers that one gifted hacker can achieve in a few weeks what a large team of merely average coders would be unable to produce in months. It is this possibility of excelling which forms part of the motivation for the core productive participants of the free software movement to participate. No less than climbing mountains or running marathons the achievement of doing something well is a motivation in itself, particularly in a society where our waged-work conditions often force us to do things in ways well below what we are capable of. There is a saying within the free software community that “people will do the jobs they are interested in”. But by the same token the jobs people find interesting are often the ones that mobilise their individual strengths. Freed from the constraints of exchange, people are free to seek out the particular lines of activity in which they can out-perform the “average socially necessary labour time” to the extent that such an estimate can even be made. Naturally if enough participants in a collective labour process manage to do this successfully, the whole process will be significantly more performant than any waged process. If all the above features emerging from the relatively new field of software production and the even more recent phenomena of the free software movement were limited to that sphere alone then they would be an intriguing case but little more. However many of the special features of software – i.e. the relation between the single design or pattern and potentially unlimited replication and distribution at little or no cost – also apply to many other “intellectual” products such as cultural artifacts like books, music and films and the results of scientific and academic research now that computers and the internet have liberated them from the material media of paper, vinyl and celluloid. Indeed the whole area of products covered by so-called “Intellectual Property Rights” are equally problematic to reduce to a “just” exchange value. Further the proportion of overall economic activity involved in the production of these non-material products is ever-growing to the extent of becoming the majority sector in the metropolitan hubs of the capitalist world. This tendency will of course not automatically bring in its wake radical social change, but its counter-tendencies – the growth of exchange-free productive networks and the increasing direct appropriation of consumer intellectual products like music, films, software and texts through free online sharing networks – will continue to make the struggle to defend capitalist Intellectual Property (IP) rights a contested battleground. In the struggle to extend and defend IP rights, both legally and practically, the champions of capitalism will be undermining the core justificatory ideology of exchange – that of labour value. The role of libertarian communists is in many ways unchanged – to participate in the present dynamic of class struggles while advocating a future beyond capitalist relations. Today however, we have the advantage that post-capitalist exchange-free collaborative production processes are no longer hypotheses but reality. In contrast it is the theories of the orthodox “a-political” economist defenders of capitalism, that people will never produce socially useful goods without the incentive of money, that is shown to be an empty hypothesis – a false god.